Esteemed audio maker Rode Microphones recently announced their all-in-one podcasting production studio – the RODECaster Pro, and now they have also released some really useful demo videos and tutorials to get you started and help you get the best out of the unit. Some of these videos include a dive into the advanced settings of the RODECaster Pro, the features, how to use your PC as an audio source, mic setup, loading sounds, and more. 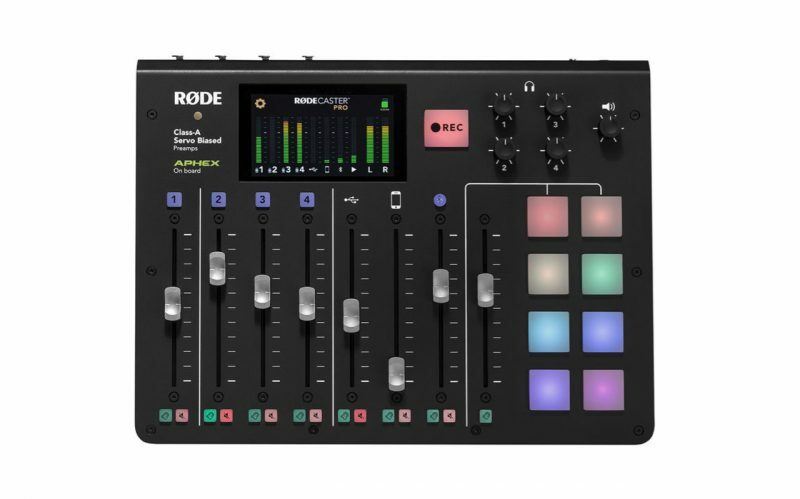 For those unfamiliar yet with the RODECaster Pro, it is a compact podcasting studio, that gives creators the ability to record and mix podcasts on the fly with up to 4x microphones, thanks to the high quality XLR mic inputs, 4 discreet headphone outputs, remote guests on calls, music, and pre-recorded segments going on all at once. You can also save your recordings directly to an onboard microSD card or to your computer via USB. RODE have made it easy for content creators by including intuitive and ergonomic controls and a large full-colour touchscreen. Class A, servo based inputs able to power studio condenser microphones as well as conventional dynamic microphones. Pristine audio quality phone and app calls – with no echo (mix-minus). Easily adjust levels – no extra gear or messy set-up involved. 8 colour coded sound effects triggers for programmable jingles and sound effects. APHEX Exciter and Big Bottom patented processing for that rich, warm tone only found in professional broadcast systems. Also includes multistage dynamics: compression, limiting and noise-gating. allows easy control of all settings, including EQ presets for a range of professional voicing. each with independent volume controls. or to your preferred computer and software via USB. For more info and details on the RODECaster Pro head over to RODE Microphones.